Connector Cover Alp 500 - Thermal Management Sleeving And Jackets - Thermal Management - Products - ZT | Zippertubing Co.
Zippertubing&apos;s Connector Covers are hexagonal, rectangular or trapezoidal-shaped products that are widely used to minimize fluid and dirt exposure on any critical interconnect components. They are available in many sizes, materials, and closure types. Depending on your needs, Connector Covers are available with or without thermal protection and/or EMI shielding. This particular type of Connector Cover is the perfect solution for components that are exposed to large amounts of heat for long periods of time. 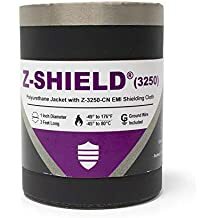 Connector Cover (ALP-500) is comprised of Zippertubing&apos;s ALP-500 heat-reflecting material, snap-button closure (re-open whenever necessary), and sewn with Kevlar thread to properly hold the product together under extreme temperatures. The operational temperature range of Connector Cover (ALP-500) is -58° to 350°F. When Connector Covers are combined with Zippertubing&apos;s many cable, EMI, or thermal protective products they become the perfect solution to continue that protective barrier throughout your wire or cable bundle. 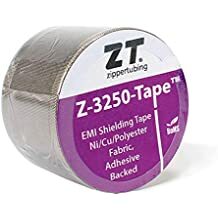 When protecting your whole wire or cable bundle, the best paring to the Connector Cover (ALP-500) would be Zippertubing&apos;s rugged, snap-button closure product Snap-Grip® (SAM-1000) and its flexible, heat-reflective tape HeatReflect® (ALP). About ALP-500: A low-cost, medium-weight, polyurethane-coated fiberglass fabric with an aluminum foil surface on one side. This flexible material provides a thermal effectiveness value of 149.72°F when tested to SAE J2302 requirements.